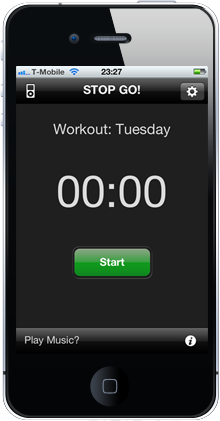 The complete interval timer and workout organiser. Create and edit unlimited preset workouts. Audio, visual and touch alerts when time to change intensity. Records your workout history so you can track your progess. Export your log files as a spreadsheet. Full music player access from within the app or create custom workout playlists. Very easy to use. Allows you to keep your focus on your training.